Northwest Missouri State University is one of six universities selected to join the American Association of State Colleges and Universities (AASCU) on an effort to validate strategies as AASCU launches a Center for Student Success this year. AASCU, a Washington, D.C.-based higher education association, is working with Northwest and the other selected institutions to share tools and expertise as they refine and validate the Center’s offerings with the goal of scaling services to the broader AASCU membership. The project began in January and continues through March 2020. “Like Northwest, AASCU recognizes the need to increase graduation rates and narrow achievement gaps, and we are eager to help AASCU support new and innovative approaches to improving student success,” Northwest President Dr. John Jasinski said. Northwest has appointed Allison Hoffmann, its director of academic success and retention, to lead the project on the University’s behalf. Northwest, with its long-standing reputation as a front-runner in student success, leads the state of Missouri in placement with 97 percent of bachelor’s degree earners and 99 percent of master’s degree earners securing a job or continuing their education within six months of graduating. The University places a high emphasis on profession-based learning to help students get a jumpstart on their careers and provides them with opportunities to build their résumés with on-campus experiences in nearly every area of study. 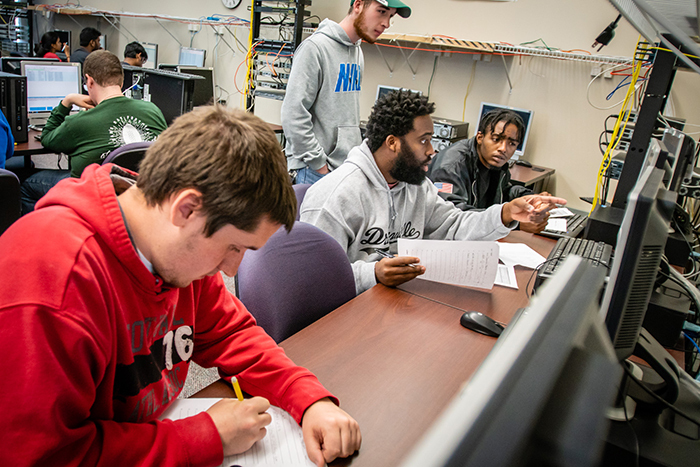 In 2017, Northwest created its own Student Success Center to refocus institutional efforts on transitioning, advising, supporting and connecting students to resources that help maximize their academic potential from orientation to graduation. The University also decentralized its academic advising operations and moved first-year academic advisors and success coaches into the campus’ academic halls. Those efforts helped Northwest achieve an institutional record retention rate of 78 percent last fall. According to AASCU, its Center for Student Success will provide individualized and structured programming to help AASCU-participating institutions achieve student success goals. The Center will enable institutions that are leading student success efforts to work collectively, learn from one another and have access to tools and strategies. The other institutions selected to participate in the program are Austin Peay State University, Bowie State University, California State University-San Bernardino, Lehman College in The City University of New York, and Henderson State University. AASCU comprises more than 400 public colleges, universities and systems whose members share a learning- and teaching-centered culture, a historic commitment to underserved student populations, and a dedication to research and creativity that advances their regions’ economic progress and cultural development.